In a large non stick skillet, heat olive oil over medium heat. 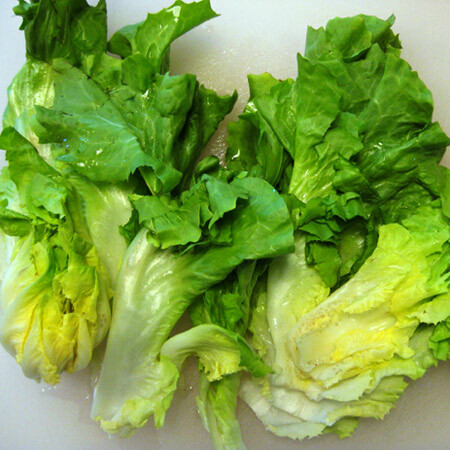 Add the escarole wedges (you may need to cook them in batches) and cook, turning until it is wilted and light brown on all sides (3 minutes). Season with salt and pepper, sprinkle the nuts and feta cheese evenly over all the wedges. Drizzle with the lemon juice and serve warm. This entry was posted in Metabolic Medical Center Recipes, Modified Profast (Fast and Flexible) Recipes, Salad and tagged escarole, feta, Metabolic Medical Center Recipes by foodies4mmc. Bookmark the permalink.